The spondyloarthritides (SpA) comprise ankylosing spondylitis (AS), reactive arthritis, arthritis/spondylitis with inflammatory bowel disease and arthritis/spondylitis with psoriasis. The main link between these diseases is the similarity of clinical symptoms such as inflammatory back pain, the pattern of peripheral joint involvement with an asymmetrical arthritis predominantly of the lower limbs, the possible occurrence of sacroiliitis, spondylitis, enthesitis and uveitis, and the association with HLA-B27 [1Sieper J, Rudwaleit M, Khan MA, Braun J. Concepts and epidemiology of spondyloarthritis Best Pract Res Clin Rheumatol 2006; 20: 401-17.]. The SpA can also be split into SpA with predominant axial or predominant peripheral involvement, but overlap occurs often, in > 30% of the cases. In axial SpA, the disease starts in > 90% with a sacroiliitis. Further in the course of AS the whole spine can be affected with spondylitis and arthritis of the intervetebral joints. The use of magnetic resonance imaging (MRI) techniques has been a major step forward in the management of patients with axial SpA regarding an earlier diagnosis, and for the detection and monitoring of inflammatory activity [2Hermann KG, Althoff CE, Schneider U, et al. Spinal changes in patients with spondyloarthritis: comparison of MR imaging and radiographic appearances Radiographics 2005; 25: 559-69.]. As a reaction to persistent inflammation with bone destruction new bone formation and ankylosis may occur as part of a repair mechanism if inflammation has resolved [3Maksymowych WP, Chiowchanwisawakit P, Clare T, Pedersen SJ, Østergaard M, Lambert RG. Inflammatory lesions of the spine on magnetic resonance imaging predict the development of new syndesmophytes in ankylosing spondylitis: evidence of a relationship between inflammation and new bone formation Arthritis Rheum 2009; 60: 93-102., 4Sieper J, Appel H, Braun J, Rudwaleit M. Critical appraisal of assessment of structural damage in ankylosing spondylitis: implications for treatment outcomes Arthritis Rheum 2008; 58: 649-56.]. Historical studies on the histopathology of inflammation in AS already revealed clear evidence that osteitis is the primary inflammatory event in AS [5Engfeldt B, Romanus R, Yden S. Histopathological studies of pelvo-spondylitis ossificans (ankylosing spondylitis) correlated with clinical and radiological findings Ann Rheum Dis 1954; 23: 219-8.-12Aufdermaur M. Pathogenesis of square bodies in ankylosing spondylitis Ann Rheum Dis 1989; 48: 628-31.]. Although published more than 50 years ago, these studies are still unique and give readable insights to possible disease mechanisms. Compared to all present studies of the nearer future entire dead bodies of AS patients with affected axial and peripheral joints were studied. In these reports osteitis was a predominant finding and synovitis seemed to be of less importance. Additionally, to our knowledge immunohisto-chemical analysis of spinal synovitis except for sakroiliitis has not been undertaken so far. However, immunohisto-chemical analysis of synovitis in peripheral joint manife-stations in different forms of SpA has extensively been studied by Baeten and collegues [13Baeten D, Demetter P, Cuvelier C, et al. Comparative study of the synovial histology in rheumatoid arthritis, spondyloarthropathy, and osteoarthritis: influence of disease duration and activity Ann Rheum Dis 2000; 59: 945-53.-16De Rycke L, Kruithof E, Vandooren B, Tak PP, Baeten D. Pathogenesis of spondyloarthritis: insights from synovial membrane studies Curr Rheumatol Rep 2006; 8: 275-82.]. Bony tissue samples from facet joints of the lumber spine of AS patients who underwent a polysegmental correction of rigid hyperkyphosis were collected to further study inflammation in the axial skeleton by histopathological and immunhistochemical analyses [17Appel H, Kuhne M, Spiekermann S, et al. Immunohistologic analysis of zygapophyseal joints in patients with ankylosing spondylitis Arthritis Rheum 2006; 54: 2845-51.]. This study showed that facet joints are directly involved in inflammatory processes in AS. Inflammation was located in the subchondral bone marrow and the enthesis at the articular processes from facet joints. Synovitis was not a predominant finding in this and other studies [7Cruickshank B. Lesions of cartilaginous joints in ankylosing spondylitis J Pathol Bacteriol 1956; 71: 73-84., 18Cruickshank B. Histopathology of diarthrodial joints in ankylosing spondylitis Ann Rheum Dis 1951; 10: 393-404.]. It was striking that even after long standing disease duration, inflammatory activity was still present in the spine of AS patients with advanced ankylosis. The finding that T- and B cells next to high microvessel density in lesions with persistent inflammation suggested that several immunological mechanisms are involved in the pathogenesis of this disease [19Appel H, Kuhne M, Spiekermann S, et al. Immunohistochemical analysis of hip arthritis in ankylosing spondylitis: evaluation of the bone-cartilage interface and subchondral bone marrow Arthritis Rheum 2006; 54: 1805-3.]. Interestingly, a very recent study on the clinical response of AS patients to B cell depleting therapy with rituximab showed clinical improvement in TNF blocker naïve AS patients [20Song IH, Heldmann F, Rudwaleit M, et al. Different response to rituximab in tumor necrosis factor blocker-naive patients with active ankylosing spondylitis and in patients in whom tumor necrosis factor blockers have failed: a twenty-four-week clinical trial Arthritis Rheum 2010; 62: 1290-7.]. At the onset of AS sacroiliac joints of AS patients are primarily affected. Within the last decades numerous histomorphological descriptions of sacroiliac joints have been published while immunohistochemical analyses are rare. Inflammation in the subchondral and synovitis are the earliest histomorphological changes. In contrast to immunohistochemical observations in peripheral joints of rheumatoid arthritis patients the hypertrophic synovia displays only little synovial hyperplasia of the synovial layer cells and the subsynovial tissue consisted of macrophages and T lymphocytes [21Braun J, Bollow M, Neure L, et al. Use of immunohistologic and in situ hybridization techniques in the examination of sacroiliac joint biopsy specimens from patients with ankylosing spondylitis Arthritis Rheum 1995; 38: 499-505.-23Bollow M, Fischer T, Reisshauer H, et al. Quantitative analyses of sacroiliac biopsies in spondyloarthropathies: T cells and macrophages predominate in early and active sacroiliitis - cellularity correlates with the degree of enhancement detected by magnetic resonance imaging Ann Rheum Dis 2000; 59: 135-40.]. Destruction of cartilage by synovitis has been reported as well as loss of synovium if the sacroiliac joint is completely ankylosed [8Bywaters EGL, Olsen E. A case of early ankylosing spondylitis with fatal secondary amyloidosis: demonstrated at the Royal Postgraduate Medical School BMJ 1968; 2: 412-6., 11Bywaters EGL. Clinicopathological aspects of ankylosing spondylitis and comparison to changes in seronegative juvenile polyarthritis and seropositive rheumatoid arthritis Scan J Rheumatol 1979; 32(Suppl 1): 61-., 22Francois RJ, Gardner DL, Degrave EJ, Bywaters EG. Histopathologic evidence that sacroiliitis in ankylosing spondylitis is not merely enthesitis Arthritis Rheum 2000; 43: 2011-4.]. It is indeed suggestive that destruction of cartilage in sacroiliac joints of AS patients is not only caused by subchondral joint inflammation but also by synovitis. Immunhistochemical analysis and in situ hybridisation revealed that mononuclear cell infiltrates and TNFα might be important mediators during inflammatory processes in the subchondral bone of affected joints [21Braun J, Bollow M, Neure L, et al. Use of immunohistologic and in situ hybridization techniques in the examination of sacroiliac joint biopsy specimens from patients with ankylosing spondylitis Arthritis Rheum 1995; 38: 499-505., 23Bollow M, Fischer T, Reisshauer H, et al. Quantitative analyses of sacroiliac biopsies in spondyloarthropathies: T cells and macrophages predominate in early and active sacroiliitis - cellularity correlates with the degree of enhancement detected by magnetic resonance imaging Ann Rheum Dis 2000; 59: 135-40.]. Historical studies on the histopathological findings in AS hip arthritis relied on case reports. However, some of them already gave interesting insights into the mechanisms involved during inflammatory processes. Bywaters studied the body of a 21 year old man who died due to fatal secondary amyloidosis [8Bywaters EGL, Olsen E. A case of early ankylosing spondylitis with fatal secondary amyloidosis: demonstrated at the Royal Postgraduate Medical School BMJ 1968; 2: 412-6.]. This allowed the unique opportunity to study histopathological features in AS. The hip joint showed chronic inflammatory changes in the synovial membrane. However, these were mild and inactive with increased vessel density as reported by others in the synovial membrane of AS patients [24Cunnane G, Bresnihan B, FitzGerald O. Immunohistologic analysis of peripheral joint disease in ankylosing spondylitis Arthritis Rheum 1998; 41(1): 180-2.]. Only marginal cartilage erosion was observed at the surface. Interestingly, cellular infiltrates penetrating the bone end plate were mostly involved in cartilage destruction from below. More recent immunohistochemical analyses characterized the cellular components of acute inflammatory lesions in femoral heads of AS patients [19Appel H, Kuhne M, Spiekermann S, et al. Immunohistochemical analysis of hip arthritis in ankylosing spondylitis: evaluation of the bone-cartilage interface and subchondral bone marrow Arthritis Rheum 2006; 54: 1805-3., 25Laloux L, Voisin MC, Allain J, et al. Immunohistological study of entheses in spondyloarthropathies: comparison in rheumatoid arthritis and osteoarthritis Ann Rheum Dis 2001; 60: 316-21.]. Enthesial site of femoral heads and knees from AS patients undergoing endoprothetic surgery displayed inflammation driven by mononuclear cells consisting of CD4+ and CD8+ T cells [25Laloux L, Voisin MC, Allain J, et al. Immunohistological study of entheses in spondyloarthropathies: comparison in rheumatoid arthritis and osteoarthritis Ann Rheum Dis 2001; 60: 316-21.]. In the subchondral bone marrow and at the bone cartilage interface of femoral heads of AS patients the number of subchondral T cells was significantly higher in areas with cartilage still on the surface compared to areas without cartilage while, in contrast, such a difference was not found in RA patients [19Appel H, Kuhne M, Spiekermann S, et al. Immunohistochemical analysis of hip arthritis in ankylosing spondylitis: evaluation of the bone-cartilage interface and subchondral bone marrow Arthritis Rheum 2006; 54: 1805-3.]. The importance of cellular changes in the bone marrow was highlighted by Francois and colleagues [22Francois RJ, Gardner DL, Degrave EJ, Bywaters EG. Histopathologic evidence that sacroiliitis in ankylosing spondylitis is not merely enthesitis Arthritis Rheum 2000; 43: 2011-4.]. Angiogenesis as measured by microvessel density was significantly increased in AS patients compared to RA and OA. The number of osteoclastic foci in areas of bone resorption at the bone cartilage interface of femoral heads with cartilage on the surface was also significantly higher in AS compared to RA and OA [19Appel H, Kuhne M, Spiekermann S, et al. Immunohistochemical analysis of hip arthritis in ankylosing spondylitis: evaluation of the bone-cartilage interface and subchondral bone marrow Arthritis Rheum 2006; 54: 1805-3.]. In these samples some femoral heads had adjacent synovial membranes for further analysis which only revealed minor acute inflammatory lesions compared to the subchondral bone marrow (Appel, unpublished data). This was also a major difference in comparison to RA femoral heads. Thus, a very important conclusion from this study was that inflammation is primary located in the subchondral bone marrow and not in the synovial membrane. Furthermore, inflammation seems to be linked to the presence of cartilage and disappears once cartilage is destroyed. This concept is further supported by the use of MRI for the investigation of acute inflammation in AS. Several studies consistently reported subchondral bone marrow oedema as the primary site of inflammation and as a consequence of inflammation at different sites such as sacroiliac joints [23Bollow M, Fischer T, Reisshauer H, et al. Quantitative analyses of sacroiliac biopsies in spondyloarthropathies: T cells and macrophages predominate in early and active sacroiliitis - cellularity correlates with the degree of enhancement detected by magnetic resonance imaging Ann Rheum Dis 2000; 59: 135-40. ], femoral head [26Maksymowych WP. Ankylosing spondylitis - at the interface of bone and cartilage J Rheumatol 2000; 27: 2295-301. ], manubriosternal joints [27Golder W, Karberg K, Sieper J. Fluoroscopy-guided application of corticosteroids for local control of manubriosternal joint pain in patients with spondyloarthropathies Clin Rheumatol 2004; 23: 481-.]. Most of the histomorphological descriptions discussing synovitis in AS are historical reports [5Engfeldt B, Romanus R, Yden S. Histopathological studies of pelvo-spondylitis ossificans (ankylosing spondylitis) correlated with clinical and radiological findings Ann Rheum Dis 1954; 23: 219-8., 7Cruickshank B. Lesions of cartilaginous joints in ankylosing spondylitis J Pathol Bacteriol 1956; 71: 73-84., 18Cruickshank B. Histopathology of diarthrodial joints in ankylosing spondylitis Ann Rheum Dis 1951; 10: 393-404., 28Francois RJ. Le rachis dans la spondylarthrite ankylosante [dissertation]. Brussels: ARSCIA 1976.]. Only few groups have undertaken systematic analysis of peripheral joints in SpA administrating immunohistochemical analysis [13Baeten D, Demetter P, Cuvelier C, et al. Comparative study of the synovial histology in rheumatoid arthritis, spondyloarthropathy, and osteoarthritis: influence of disease duration and activity Ann Rheum Dis 2000; 59: 945-53.-15Baeten D, Kruithof E, De Rycke L, et al. Diagnostic classification of spondylarthropathy and rheumatoid arthritis by synovial histopathology: a prospective study in 154 consecutive patients Arthritis Rheum 2004; 50: 2931-41., 29Chang CP, Schumacher HR Jr. Light and electron microscopic observations on the synovitis of ankylosing spondylitis Semin Arthritis Rheum 1992; 22: 54-65.-35Reece RJ, Canete JD, Parsons WJ, Emery P, Veale DJ. Distinct vascular patterns of early synovitis in psoriatic, reactive, and rheumatoid arthritis Arthritis Rheum 1999; 42: 1481-4.]. Increased mononuclear cell infiltration and increased vascularity were frequently observed if patients with SpA and rheumatoid arthritis were compared. In SpA synovitis lymphocytic infiltrates consisting of CD3+, CD4+ and CD20+ cells [13Baeten D, Demetter P, Cuvelier C, et al. 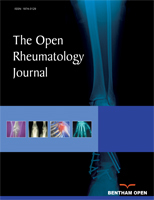 Comparative study of the synovial histology in rheumatoid arthritis, spondyloarthropathy, and osteoarthritis: influence of disease duration and activity Ann Rheum Dis 2000; 59: 945-53.] and plasma cells [29Chang CP, Schumacher HR Jr. Light and electron microscopic observations on the synovitis of ankylosing spondylitis Semin Arthritis Rheum 1992; 22: 54-65.] were observed. Single cell analysis and the quantification of lymphocytic aggregates revealed lower frequencies of CD4+ and CD20+ lymphocytes than in RA synovium. Interestingly, this was not the case for CD8+ T cells. Studies before and during TNF blocker therapy revealed evidence that TNFα is an important pro-inflammatory cytokine also for peripheral joint inflammation in SpA. Mononuclear cell infiltrates decreased significantly during therapy [14Baeten D, Kruithof E, Van den Bosch F, et al. Immunomodulatory effects of anti-tumor necrosis factor alpha therapy on synovium in spondylarthropathy: histologic findings in eight patients from an open-label pilot study Arthritis Rheum 2001; 44(1 ): 186-95.]. Interestingly, T cell but not B cell infiltrates resolved during TNFalpha blocker treatment suggesting that T-cell types are important mediators of inflammation in SpA synovitis. Specific macrophage subsets like M2 macrophages and also polymorphonuclear cells are also seen in SpA synovitis [30Baeten D, Møller HJ, Delanghe J, Veys EM, Moestrup SK, De Keyser F. Association of CD163+ macrophages and local production of soluble CD163 with decreased lymphocyte activation in spondylarthropathy synovitis Arthritis Rheum 2004; 50: 1611-23.]. These cellular components correlate well with global disease activity and decrease rapidly during successful treatment with TNFalpha blocking agents [14Baeten D, Kruithof E, Van den Bosch F, et al. Immunomodulatory effects of anti-tumor necrosis factor alpha therapy on synovium in spondylarthropathy: histologic findings in eight patients from an open-label pilot study Arthritis Rheum 2001; 44(1 ): 186-95., 31Baeten D, Kruithof E, De Rycke L, et al. Infiltration of the synovial membrane with macrophage subsets and polymorphonuclear cells reflects global disease activity in spondyloarthropathy Arthritis Res Ther 2005; 7: R359-69.]. Because Toll like receptors were also increased in active SpA synovitis it has been hypothesized that inflammation triggered by the innate immune system is also involved in the pathogenesis of SpA synovitis [16De Rycke L, Kruithof E, Vandooren B, Tak PP, Baeten D. Pathogenesis of spondyloarthritis: insights from synovial membrane studies Curr Rheumatol Rep 2006; 8: 275-82., 36De Rycke L, Vandooren B, Kruithof E, De Keyser F, Veys EM, Baeten D. Tumor necrosis factor alpha blockade treatment down-modulates the increased systemic and local expression of Toll-like receptor 2 and Toll-like receptor 4 in spondylarthropathy Arthritis Rheum 2005; 52(7): 2146-58.]. Especially hypervascularity and the presence of tortuous vessels were identified as a typical feature in SpA which was also observed by others [24Cunnane G, Bresnihan B, FitzGerald O. Immunohistologic analysis of peripheral joint disease in ankylosing spondylitis Arthritis Rheum 1998; 41(1): 180-2., 34Veale D, Yanni G, Rogers S, et al. Reduced synovial membrane macrophage numbers, ELAM-1 expression, and lining layer hyperplasia in psoriatic arthritis as compared with rheumatoid arthritis Arthritis Rheum 1993; 36(7): 893-900.] but not in RA. In summary, these studies revealed some evidence that neovascularization might be a more important mechanism in SpA compared to RA and therefore also a possible therapeutic target. We do not know of any immunohistochemical analysis of SpA patients comparing osteitis and synovitis in peripheral joints. However, peripheral arthritis in the knee seemed be driven by inflammation in the synovial membrane which is also supported by MRI [37McGonagle D, Gibbon W, O´Connor P, Green M, Pease C, Emery P. Characteristic magnetic resonance imaging entheseal changes of knee synovitis in spondylarthropathy Arthritis Rheum 1998; 41: 694-700.]. Engfeldt and colleagues had studied an acromioclavicular joint in an AS patient. Beside features of new bone formation they could also describe synovitis in the adjacent soft tissue with mononuclear cell aggregates and high vascularity [5Engfeldt B, Romanus R, Yden S. Histopathological studies of pelvo-spondylitis ossificans (ankylosing spondylitis) correlated with clinical and radiological findings Ann Rheum Dis 1954; 23: 219-8.]. This was accompanied by inflammation in the bone marrow, bone edema and bone destruction. Cruickshank studied additional samples from the anterior chest wall. The earliest changes in the manubriosternal joints were also a subacute osteitis in the subchondral bone marrow underneath the bone end plate. This consisted of inflammatory cell infiltrates and fibrous tissue with increased microvessel density.